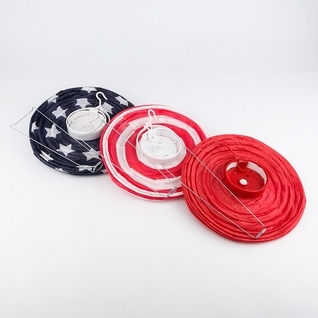 8 Inch 4th of July Red, White and Blue Battery Operated LED Paper Lantern Light Set (3-PACK) on Sale Now from PaperLanternStore! Be proud and show off your colors with our Patriotic 4th of July Independence Day Stars and Stripes LED Battery Powered Paper Lantern COMBO 3-PACK! 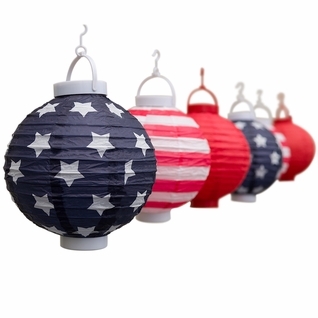 This kit includes 3x assorted 4th of July-themed Paper Lanterns designed to emulate America's beautiful flag! Each powered by 2 AAA batteries (Not Included), these lanterns can be either hung on wire or Fishing Line or set on a table as a centerpiece for your event and will last over 8+ hours. 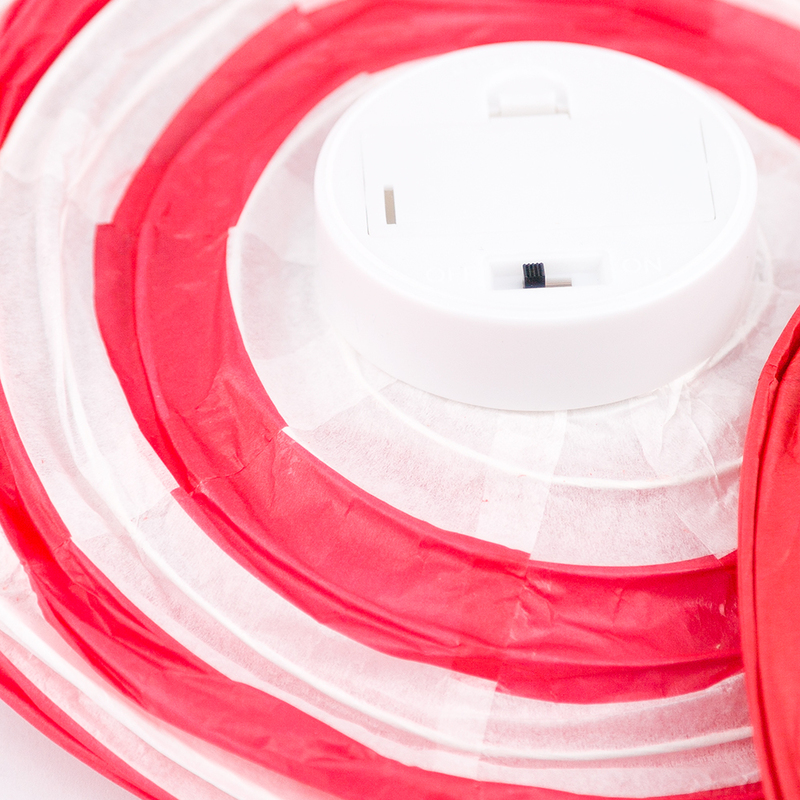 Great for backyard BBQs and patio settings, these lantern lights come with a plastic hook on top for easy hanging from trees or around the house. Kids will love the fun lantern designs and joyful lighting effect the LED lights provide. This lantern is affordable and looks great for any party or event. Does not cast as much light as our premium battery lanterns, but is very cost effective when your on a tight planning budget.